Enjoy your free flowing showerhead! Pretty easy and cheap, huh? 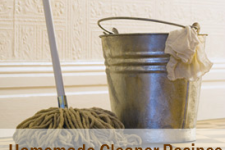 For more information on how to make your own homemade, green cleaners, click here. Cool! I need to figure out how to do this to my bathtub spigot. I’ve been doing that for years, and it helps a lot of once a month you take your shower heads off I do all of mine and you soak them in a bowl of vinegar once a month and I lightly spray mine with CLR and then soak them in vinegar. Works great and if you use 1 cup of vinegar in your wash machine with your towels instead of fabric softer 1 time per week it keeps the fabric softner dispenser from getting all gummed up and keeps your wash machine cleaner too. We don’t drink coffe but vinegar once a week being ran thru your coffee maker keeps the coffee maker clean too but run 3 pots of water after you run 2 cups of vinegar thru the coffee maker. LOVE IT! THANK YOU!! I needed this. Great tip! I need to try this. This is the method I always use to unclog my showerhead. It works great! And better than using POISON CLR. I know its not really poison, but after using cleaning stuff that you don't have to wear gloves for – I see most all cleaners as scary! Awesome, I use this mixture to clear out the bathroom drains. It never would have occurred to me to clean the shower head with it! I use vinegar and soda to flush my kitchen sink drains once a week…just put in the soda and pour on the vinegar and watch the explosion….wait few minutes before washing down the drain! Wonderful idea.. I think I will pin it…. Filing away for later. 🙂 Thanks. I love this idea of attaching the solution in a baggie. When the shower head needs cleaning, I usually grab a wrench and detach it so I can poke all of the water holes with a pin to clear them out and then soak it in baking powder mixture. This way I clean the inside also. I've never used this on my shower head, but I use it to clean my toilet, and it works wonders! I just discovered using a Pumie scouring stick in my commode for hard water stains. so easy. $1.88 @ walmart. This is brilliant. Much better than unnecessarily buying a new shower head. I'm going to link to this on my weekly wrap up. 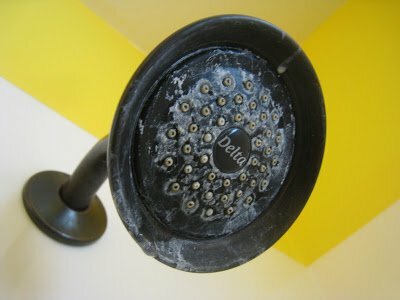 I think a lot of people would like to know it is that easy to clean a shower head! Ohh.. simple yet effective! Ill have to remember this 🙂 Stopping by from the Sasse Life. Ps.. 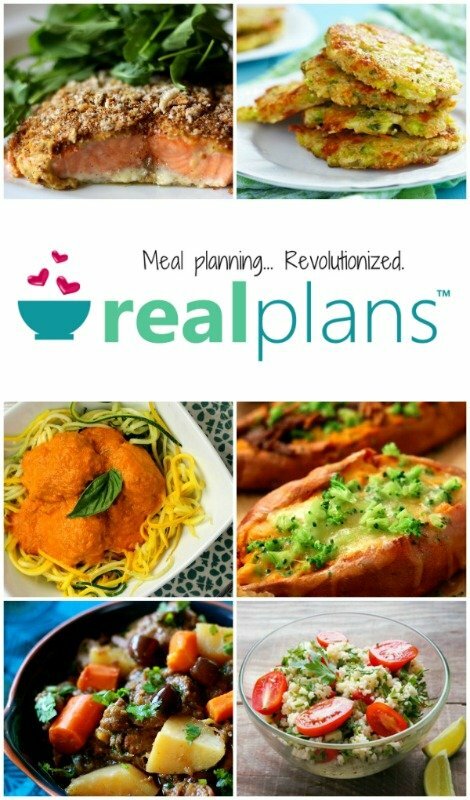 I would love for you to link this up to my Friday link party coming up! 🙂 Its full of thrifty goodness! We have such hard water that I buy distilled vinegar in bulk! I like your idea better. I pull the shower heads off and soak them. It's much more of an ordeal. Never thought to do this!!! Love. I'll have to try this tip, thanks! Thanks so much for sharing! I'll def. give this a try! Doesn't the baking soda neutralize the vinegar? I would think you'd just end up with a bag of slightly salty water. Great idea. If I could just add to make sure you recycle the plastic bag when done. Don’t just throw it away! I hope it works well for you Cynthia! If your water is not ‘hard’ but you do get the white lime deposits that clog the holes & turn shower heads & faucets white – just soaking in WARM white vinegar works too. After soaking a while I also use an old toothbrush in the holes & crevices. Just be careful so that the vinegar doesn’t get splashed in your eyes while using a brush. WARM white vinegar cleans sinks, around the faucet bases and brings any of your chrome back to a mirror shine. Oh – and is perfect to clean the plastic grate & well area below refrigerator ice/water dispensers – you may need to soak the area a while with paper towel soaked with the WARM vinegar. The reason for white vinegar is to eliminate any potential staining from the yellow apple cider vinegar. If you do not need to worry about staining – apple cider works just as well. Wow, that’s a good idea! I found this on Pinterest. Thank you for sharing this! I have used vinegar and baking soda to unclog a drain before, but this never occurred to me! Way cool! So cool!!! And best part is…it really works great! Thanks for stopping in Dori. Can you use it on a plastic shower head? On my way to do this right now! Thanks for the tip! Since we are cleaning in the bathroom…..equal parts of Dawn detergent and heated white vinegar make the best glass shower door cleaner ever!! I place one cup of Dawn in a spray bottle, heat one cup of white vinegar in the microwave for one minute and pour in the spray bottle. Mix gently. Spray on glass shower door and tub surround. Wipe down with sponge and NO HARD WATER STAINS. Love this! My husband just said last night that we needed to clean the shower head and now I have a solution. Thanks for sharing!! WARM VINEGAR SEEMS TO WORK BETTER…HEAT IT IN THE COFFEE POT! I usually do this on the day I clean my coffee maker. I run the vinegar thru the coffee maker two or three times. I use an empty coffee filter in the filter cup so I can run it thru the maker more than one time. 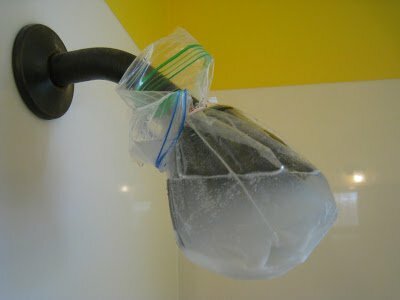 I let the vinegar cool just enough to prevent melting the plastic bag, and while it is still hot, I place it over the shower head as described. After it has done it’s job on the shower head, I use it for the drains, sink clean up, mirrors or anything else that I want to clean with vinegar. If there is any left, it can be used to soften a load of laundry. MULTIPLE USES IN ONE COFFEE POT OF VINEGAR! Additional word of caution: Vinegar is also known to etch granite. My shower head is being exploded right now. I found you via Pinterest. Thank you for sharing this tip. I love this! I usually get someone to unscrew the showerhead for me and then leave it soaking in the solution overnight, but it’s so difficult to unscrew that we don’t bother. I’m going to try this method soon. As previous posters have mentioned, vinegar alone will solve this problem much more effectively. The reason for this is chemistry! Those white deposits, calcium carbonate, dissolve in acids. Vinegar contains acetic acid. Baking soda is actually a base. The acid and base neutralize each other, which isn’t great for cleaning. It is actually dangerous to mix acids and bases as is done here since it can also make things pretty hot. Thank you so much for this post. I was just about to go out and buy a new shower head because mine has become so clogged from our hard water deposits that I only had ONE setting on what was a twelve-setting shower head that worked. My husband did this to our kitchen sprayer first, and it worked like a charm. The shower head is now soaking as well! This is a real useful piece of instruction. But I guess you can use vinegar alone. I use a nebulizer for asthma breathing treatments, and my husband uses a CPAP machine for sleep apnea. I soak the tubes and plastic attachments in vinegar to clean them. Can you use this to clean oil rubbed bronze shower heads? Wow, the bag and twistie tie are geeeeeeeenius. 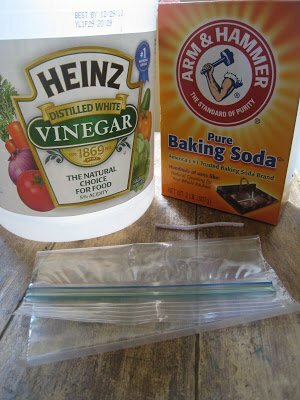 I’ll use vinegar without the baking soda. Thank you! I put the vinegar and baking soda in an empty Tang can and submerged the shower head in it for the night. And it worked!! Reporting back on my post from yesterday. 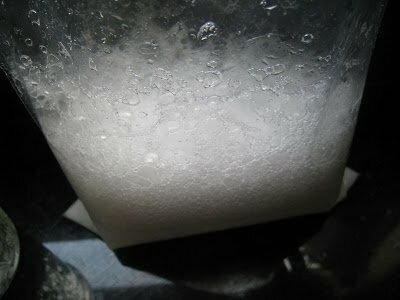 When I took off the bag, I ran my finger over the surface and the mineral deposits wiped away clean without any effort. The only down side is some spots of silver metal finish, where the crust was, also eroded, but not from anywhere on the top side. No biggie. I’m happy to have a clean freer-flowing stream! That combo also works really well for bee stings. I got stung a lot as a child so i know. I grew up using just the cider vnegar on all kinds of insect stings, mosquito bites, and it even works on sunburns too to pull the burn out. Just pour an average size bottle of cider vinegar into a tepid bath and lay down in it and soak for about an hour. Next day, no burn left, not sore…awesome stuff! Do you all have tiny showerheads? Mine is what I thought was “normal sized” and yet this recipe makes such a tiny amount of liquid that it is impossible to submerge the showerhead in it in any way whatsoever. I tried this before with just vinegar. Don’t know if it would have worked or not because I couldn’t get the bag to stay up. Today when I decided to try this combination, I used a couple of binder clips on the zipper bag, and it’s staying up! So here’s hoping! I used a ziplock bag and twisted it to close the bag then used a trash bag twist tie to keep the bag over the shower head, it holds the bag very securely. I’ve heard this takes the finish off oil rubbed bronzed faucets. Any experience with this finish? Don’t do it, took finish off my showers head. Going to try this on the dispenser thingies on my fridge. They get corroded from the minerals in the water! Just wonder if one can use this formula to clean the hard water deposits in a stainless steel dishwasher? I live in a area that has extremely hard water, and have suffered from the calcium and mineral deposits that most people experience. I have tried almost everything under the sun to clean these deposits off the inside of the dishwasher to no avail. Can someone let me know if this will work, and if so, what would be the correct ration to use? I have used distilled white vinegar on my shower heads and to clean my coffee makers with excellent results. This is my first visit to this site and I am in awe at the wonderful hints/tips offered! Thanks to all! seems to me it would be easier to take the shower head off and put it in a bucket or the plastic bag it would be much easier…. This is an awesome idea! 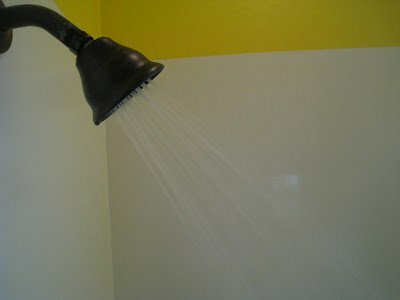 I am for sure going to try this one my shower heads. I was just looking at them the other day and think how gross they had become from hard water build up. Thanks for sharing. about this topic, it might not be a taboo matter but generally folks don’t talk about such issues. I recently did this after several previous uses and now the shower head is spewing water from the seam around the top. Has anyone else had this problem? Is my shower head repairable? Vinegar itself does the trick, because everyone who stated the classic base + acid reaction is right. It creates CO2 and H20. HOWEVER, if you don’t have enough baking soda to completely use up all the vinegar, the CO2 bubbles kinda acts like a scrubber. If you have tons of caked on calcium/magnesium/mineral build up, vinegar will only take of the initial layers of the build up if its too thick. The CO2 will help the vinegar reach places that it normally may not by just soaking it by gas agitation.